Destinations are confronted with the challenge of making the digitization to one of their core competences. They have to establish a network of service providers and all offers as well as infrastructure needs to be digitized. Only then the guest can be accompanied along the whole customer journey. Outdooractive is a strong partner in developing an integrated digital strategy. For its realization we provide the respective sustainable solutions. Smaller destinations are facing a tough job, if they want to manage the task of digitization on their own. 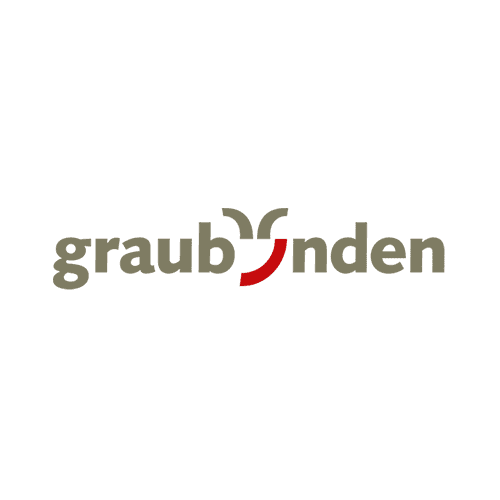 Therefore Graubünden Ferien, the marketing organisation of Graubünden, is on the mission to ensure that all 17 member destinations are prepared for the digital age. It was about a solution which brings the content of all destinations together, which is able to take care of a comprehensive content presentation as well as the distribution. The Outdooractive DMS brings together all content of the partners related to tourism and outdoor. In the case of Graubünden Ferien there are 1200 tours and more than 12’000 points of interest (POIs) such as attractions, accommodation and huts. The Outdooractive API was used in order to import content into the different channels of Graubünden Ferien and into the channels of the partners. Furthermore, the API allows a contextual distribution throughout the different landing pages and offers maximum flexibility in regards to structure and design, also taking individual corporate designs into account. 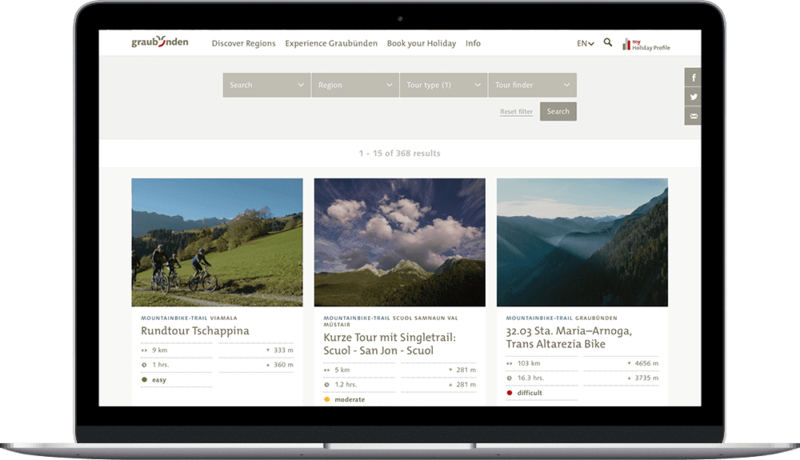 As Graubünden focuses on a positioning as biking and hiking destination the Outdooractive Regio has been integrated as a stand-alone outdoor portal. It provides every target group easy access to the entire variety of experiences as well as individual tour planning. 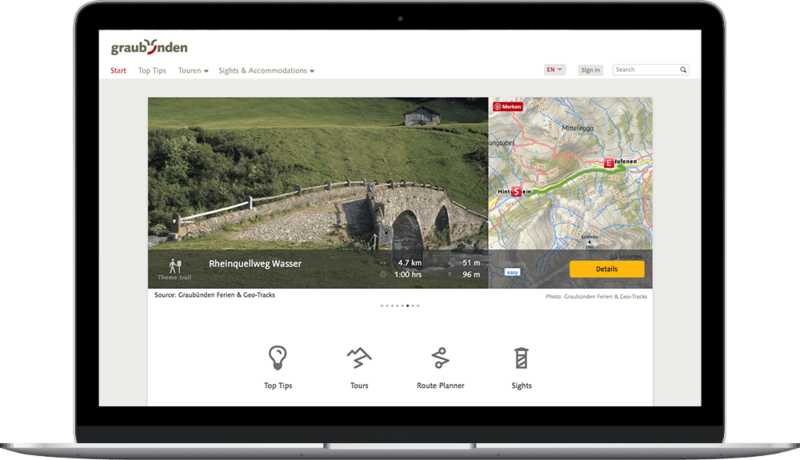 In addition a hiking app and a biking app were introduced to make the time in Graubünden even more exciting and enjoyable. The individual destinations can choose from a range of possibilities in order to integrate relevant content for their area into their own communication channels. Would you like to learn more about the our solutions for destinations?